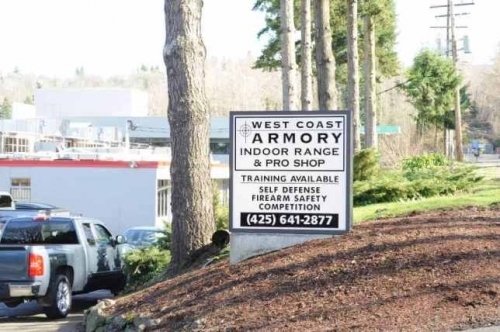 Located at the entrance to the Bellevue Gun Club, the West Coast Armory Pro Shop has everything a shooter may need for a day at the range. The Pro shop is fully stocked with ammunition, accessories for pistols and rifles, and firearms for members of the Bellevue Gun Club. Stop by and visit our friendly staff before your day at the range!